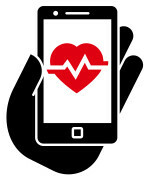 You are here: Home » What is the Blood Sugar Diet (BSD)? What is the Blood Sugar Diet (BSD)? The Blood Sugar Diet (BSD) is based on more than ten years of research carried out, by amongst others, scientists at Newcastle University in the UK. It is the first diet that in clinical trials has been shown to improve, even reverse, most cases of type 2 diabetes or prediabetes. It is all about getting rid of tummy fat and keeping it off. Each of us is different and no one diet is going to work for everyone, so this is not a single diet, but a set of options. The Blood Sugar Diet is based on eating a low carbohydrate Mediterranean style diet. This contains few refined, starchy carbohydrates (because these convert rapidly to sugar in your blood), lots of green and coloured vegetables, plenty of protein and, you may be pleased to hear, it also includes moderate amounts of healthy fats such as olive oil and even some dairy products such as full fat unsweetened yoghurt to keep you feeling full for longer. Because we are aware that different approaches to diets suit different people, there are three ways to do the diet. We recommend starting with stage 1, the Intensive BSD Fast 800, a low calorie diet for up to 8 weeks, moving to stage 2, the more flexible 5:2 BSD (involving 2 days fasting on 800 cals and 5 days on the low carb med-style diet) or straight to the BSD Way of Life if your target has been achieved. There are three options, starting with the more intensive BSD Fast 800 (fasting on 800 calories daily for up to 8 weeks). This approach is likely to give the fastest benefit in terms of losing fat and improving your blood sugar. Some will choose the more flexible 5:2 BSD, which involves only 2 days of fasting (800 calories a day) and doing the low carb med style diet on the remaining 5 days without having to calorie count. For those who need a slower, more gentle approach there is the BSD Low Carb, which simply involves sticking to low carbohydrate Mediterranean style diet, without counting calories. This is similar to what we recommend to those who have successfully reached their goal and improved their blood sugar levels, to stay on indefinitely on the BSD Way of life. Once normal blood sugar and a healthy weight is achieved, people can be a bit more indulgent at times. But if they revert to their previous habits, the benefits will eventually be lost. 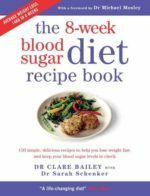 “The Blood Sugar Diet is clearly written, with an avoidance of jargon – it is scientifically right up to date but easy to follow. As a GP I have been recommending a dietary approach similar to one described in this book for some time. As a result many of my patients have lost weight, become healthier, and we now spend £27,000 less per year on drugs for diabetes than the average GP practice in our area”. The main thing is to lose enough body weight to get your blood sugar levels back under control. The evidence suggests that the faster you lose the weight, the more likely you are to reach your goal and stay there. Need more motivation? A new study shows how readily Type 2 Diabetes can be reversed. See the FAQ as to who should not do the diet. To do the diet properly and safely we recommend you discuss it with your doctor and read the book.